A few dozen Ku Klux Klan members rallied to protest the removal of a Confederate statue in a park in Charlottesville, Va. But about 1,000 people showed up to oppose them. 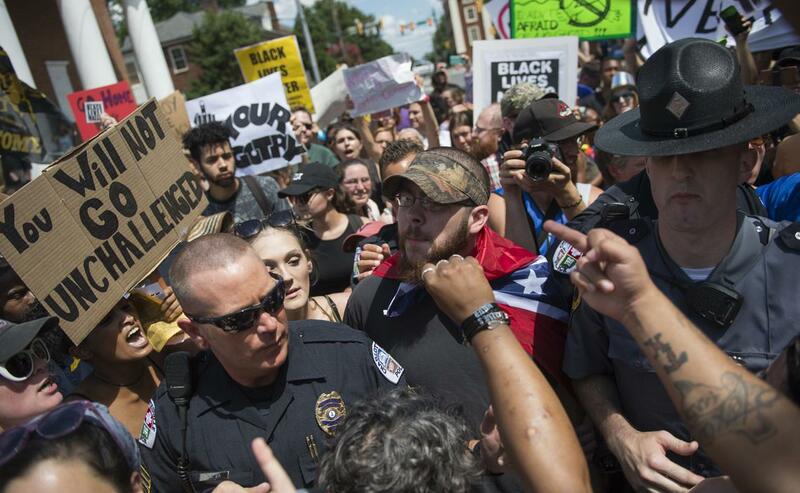 Despite urging from the city's mayor to ignore the racist group, about 1,000 people showed up to protest a few dozen members of the Ku Klux Klan who gathered in Charlottesville, Va. Saturday.